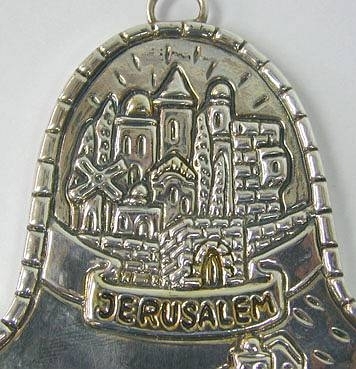 In the center of the palm there is detailed scenery of the Holy City and below it the word JERUSALEM stands out. 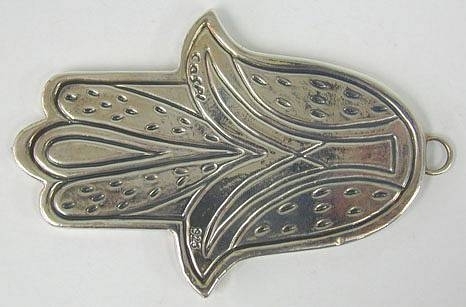 On the top of the Hamsa there is a hook for hanging on the wall. 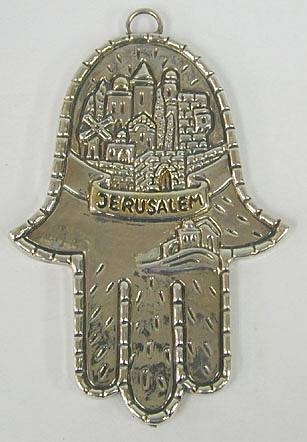 One of the most ancient amulets or symbols of many religions, the Hamsa of Judaic faith or Hand of Fatima from the Islamic belief is one of the original protective signs. In all religions, it is believed that the one who wears it or hangs it in his house, will be protected from the Evil Eye and other negative thoughts. This Item was made in the electroforming method.